Bio for Anne Dranitsaris, Ph.D.
For hundreds of years, we have believed our ability to use rational brain while ignoring and controlling emotions was the key to our happiness. We had it all wrong! We now know that our ability to self-actualize lies in our ability to experience and use our emotions. New brain science has demonstrated that our emotional brain plays the central role in learning, behavior, decision making and development. As the brain is evolutionary in nature, it is wired to receive messages first from the emotional brain before it moves to the rational brain where thinking and planning occur. In order to develop, we have to build strong neural pathways between these two brains so that our emotions don’t hijack us when we least expect it. In the past we have tried to develop or change behavior without involving our emotions or thinking about changing our brains. We believed that change and development was a matter of “using your head” or “common sense”. 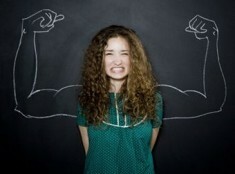 Will power, control and overpowering needs and emotions were promoted as the way to do it. Those who couldn’t were judged to be weak and ineffectual. No wonder we kept failing to achieve our potential! What we didn’t realize is that our emotional brain is capable of overriding the rational brain. This means that we are more likely to go the path of least resistance, doing what we’ve always done or we feel like, rather than what we actually want to do. We need to know how to use our emotions — know them, feel them, tolerate them, express them — in order to self-actualize. Just “knowing” doesn’t change behavior or habits of relating to others. It’s the emotional brain that motivates and provides energy for changing behavior and developing new habits of mind. The SSPS Developmental Framework shows clients how to harness the power of their emotional brain so that their plans become reality and their vision for their future can be realized. Don’t waste another minute on developmental approaches that don't change behavior. Bring the power of the SSPS to your clients or organization today! We offer you a full range of e-learning webinars so that you can easily become a practitioner and learn everything you need to know to take your practice or organization to the next level. Each Report contains everything you need to know about the Striving Style - in general, in leadership, in relationships and other important aspects of life.